Saina Nehwal bowed out of the women's singles event of the US$ 750,000 Indonesia Open Super Series after going down to China's World No. 1 Li Xuerui in the quarter-finals, in Jakarta, on Friday. Saina, seeded eighth, lost 20-22, 15-21 to the Chinese shuttler in 44 minutes. With this victory, the top-seeded reigning Olympic champion has now extended her record against Saina to 7-2. 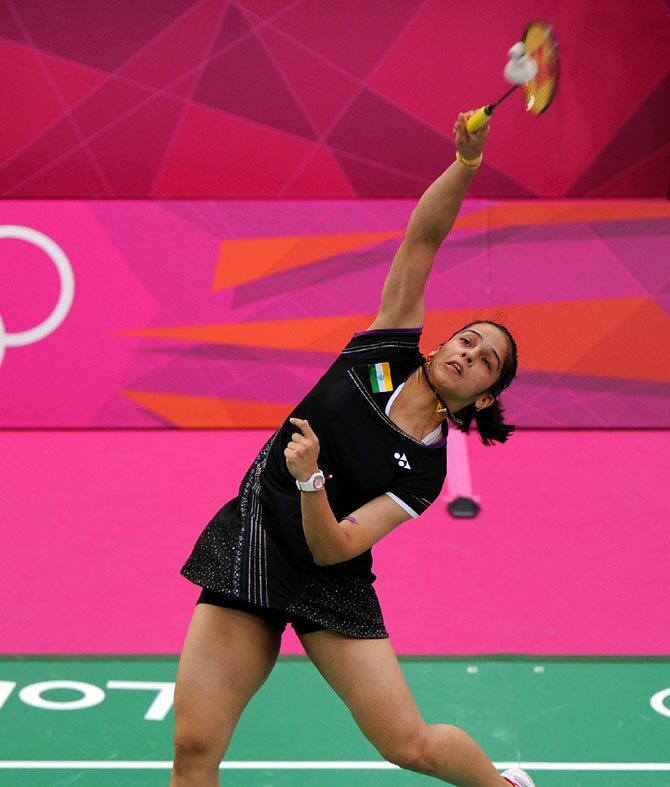 The Olympic bronze medallist Saina gave a tough fight to her opponent in the opening game but failed to keep up the momentum in the second and went down tamely. The first game saw both players exchanging the lead a few times before they were tied at 5-5. Xuerui, the All England champion, then surged ahead to open up a 10-6 lead. However, Saina fought back, bagging four consecutive points to catch up her rival at 10-10. From being tied at 12-12, the Chinese time and again took slight edge, but the shuttler from Hyderabad kept clawing back and made it 20-20. But just when it mattered the most, Xuerui managed to bag two crucial points to grab the first game at 22-20. Saina completely ran out of steam in the second game as she even failed to pose a challenge to her higher ranked opponent, even as the Chinese put up a dominating show. Xuerui first opened up a 5-2 lead and thereafter just went on extending it to finally wrap up the match in her favour comfortably. Xuerui will next take on the Nichaon Jindapon of Thailand in the semi-finals. Michael Schumacher "will remain an invalid for the rest of his life", said leading medical expert Erich Riederer. According to reports from the UK, the former F1 champion driver emerged from his coma on Monday, yet numerous top medical practitioners have said since that his prognosis might not be as significant as some may have thought. "He will remain an invalid all his life and will always remain dependent on others' help," said neurology specialist Riederer. 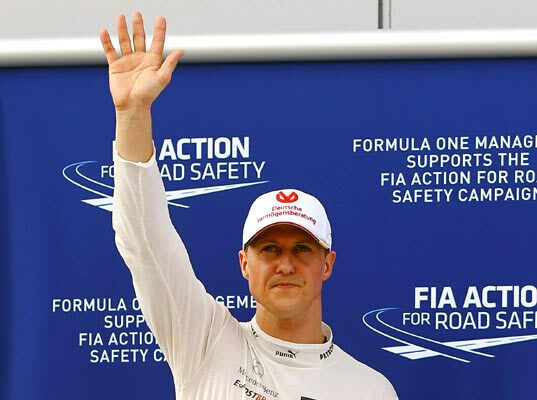 He added that Schumacher will have "permanent" damage and that it will be a "success" if he manages to sit up unaided within the next three months and operate an electric wheelchair within six months. However, he said that his coma awakening was still "positive". "It is an incredibly positive message when someone wakes up after being in a coma for half a year," he continued. "For him it is positive, but also for his family, this is hugely important." The German had suffered severe head injuries after a skiing accident in French ski resort, Meribel on 29 December 2013. India's Somdev Devvarman has been pitted against 15th seed Jerzy Janowicz of Poland in the first round of the men's at this year's Wimbledon, starting in London on Monday. 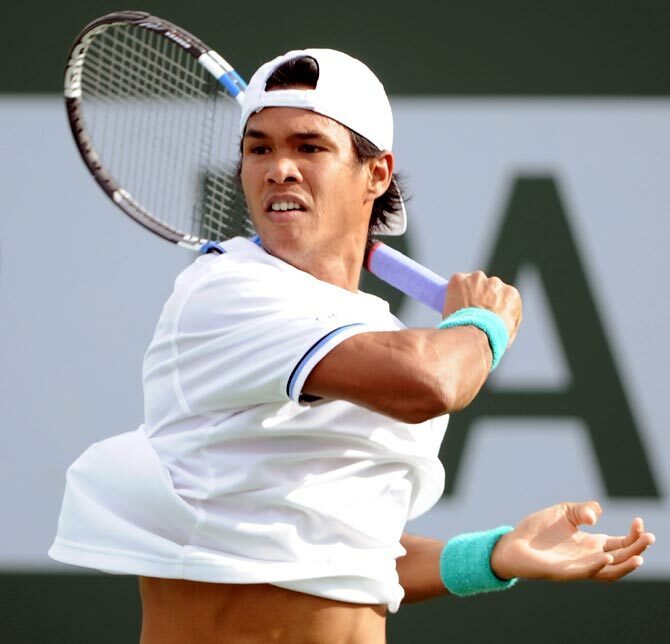 Somdev, India's lone challenge in the men's singles, has tough task at hand as he has landed in the same half of the draw along side fourth seed Roger Federer, fifth seed Stanislas Wawrinka of Switzerland and ninth seeded American John Isner. If Somdev manages to register an upset win in the first round, he will next face the winner of the match between Lleyton Hewitt of Australia and Poland's Michal Przysiezny. But it is the men's doubles event where India has a significant presence. Veteran Leander Paes and his Czech partner Radek Stepanek are seeded fifth and will open their campaign against Poland's Mariusz Fyrstenberg and Rajeev Ram of USA, while the eight-seeded Indo-Pak combination of Rohan Bopanna and Aisam-Ul-Haq Qureshi will face Czech-Russian pair of Frantisek Cermak and Mikhail Elgin in the first round. The other Indians in the men's doubles fray are young Divij Sharan and Purav Raja. While Divij and his partner Yen-Hsun Lu of Chinese Taipei will take on Jamie Delgado of Great Britain and Luxemborg's Gilles Muller in the opening round, Purav and Brazilian Marcelo Demoliner will play 15th seeds Juan Sebastian Cabal of Colombia and Poland's Marcin Matkowski. Meanwhile, Sania Mirza and Cara Black have been seeded fourth and will face Swiss-Russian duo of Martina Hingis and Vera Zvonareva in their opening women's doubles encounter. The draw for the mixed doubles event will be be held on June 25. 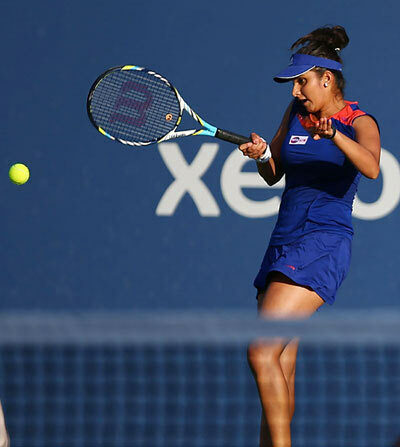 India's challenge came to a grinding halt at the Aegon International, the last tournament in the lead up to Wimbledon, with the defeats of Sania Mirza and Leander Paes in their respective events, in Eastbourne. In the women's doubles, third seeded pair of Sania and Cara Black recovered from a first set rout but ended up losing 1-6, 6-3, 7-10 against the unseeded Taipei pair of Hao-Ching Chan and Yung-Jan Chan in the quarter-finals. Paes, who had partnered with Aisam-ul-Haq Qureshi, also lost at the quarter-final stage in the men's event. The second seeded Indo-Pak pair lost 3-6, 4-6 to Treat Huey of Philippines and Briton Dominic Inglot. Wimbledon championships, the third Grand Slam of the season, begins Monday. Sania and Cara have been seeded fourth while Paes and Radek Stepanek are seeded fifth in the men's doubles. Bopanna and Qureshi are seeded eighth. 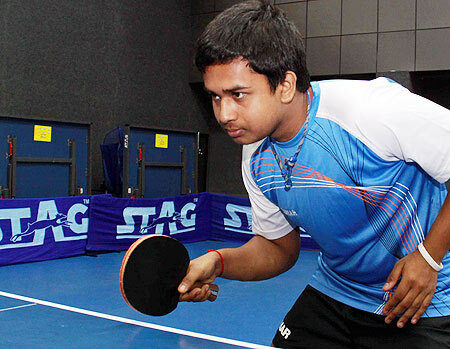 Young Indian paddler Soumyajit Ghosh pulled off one of the biggest victories of his career beating World No.76 Alexy Liventsov of Russia in the opening round of the ITTF World Tour Japan Open in Yokohama on Friday. There was hardly anything to choose between two players in their hard fought battle until the seventh and deciding game, which the 21-year-old Indian won convincingly for a 16-14, 9-11, 12-14, 14-12, 8-11, 11-8, 11-3 win. The World No.140 next plays 19th-ranked Tang Peng of Hong Kong. Sharath Kamal, India's highest-ranked player at 40, was stretched to seven games by little known Chew Zhe Yu Clarence of Singapore. The seasoned Indian eventually prevailed 11-2, 7-11, 11-8, 8-11, 11-8, 5-11, 12-10. He takes on Russian Kirill Skachkov, who is ranked 72. Reigning national champion Sanil Shetty, one of the three Indians to make the main draw, could not progress beyond round one after losing to Japan's Koki Niwa 11-8, 11-13, 1-11, 7-11, 2-11. Chess Championship as he won seven games, lost three and drew one, in Dubai. World Champion Magnus Carlsen, who just annexed the world rapid crown as well, seems on course to be the first ever World champion in all three formats at the same time as he took an early lead on nine points from his first eleven games. Carlsen, who made it clear that he wanted to be the best in all formats of the game, went on a rampage winning the first five games and then a momentary halt that came with a loss against Lu Shanglei of China did not dampen the spirit of the highest rated player in the world. Like in rapid, Anand got off to a very slow start in the blitz as well losing two games out of first three rounds itself. The Indian was shocked by Yuriy Kryvoruchko of Ukraine in the opening round and then again in the third round he suffered another defeat at the hands of Vladimir Fedoseev. 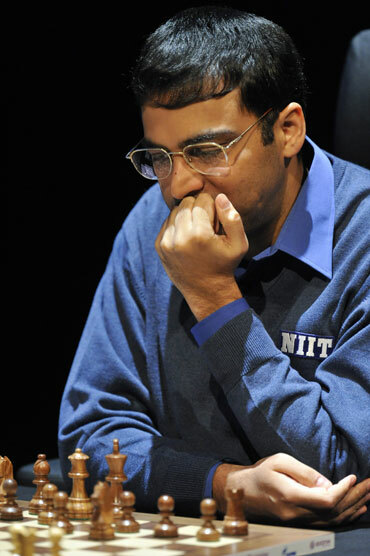 Keeping in mind that it was a long tournament, Anand won a few games and then again in round eight eight another surprise awaited him as he went down to Markus Ragger of Austria. The Indian ace however recovered to post three victories on the trot in the last three games of the day to remain joint eighth with ten rounds still to come in the strongest ever extravaganza in blitz chess. Towards the end, Anand came up with victories over Amin Bassem of Egypt and Russian duo of Nikita Vituigov and his long-time rival Alexei Dreev respectively. While he showed glimpses of returning to form in the fastest version, its still a long way to go for the Indian ace. A federal judge on Thursday rejected Lance Armstrong's bid to dismiss a whistleblower lawsuit claiming that he and his former cycling team, which the US Postal Service had sponsored, defrauded the government in a scheme to use banned, performance-enhancing drugs. US District Judge Robert Wilkins said complaints brought by the government and Armstrong's ex-teammate, Floyd Landis, were "rife with allegations that Armstrong had knowledge of the doping, and that he made false statements to conceal the doping and the attendant obligation which would have resulted if the government had known of the doping." Armstrong, 42, was stripped of his seven Tour de France victories and banned for life from racing in 2012 by the US Anti-Doping Agency after it accused him in a report of engineering one of the most sophisticated doping schemes in sports. Armstrong, who had long denied using performance-enhancing drugs, admitted in January 2013 to doping and faces several civil lawsuits that could drain the fortune he accumulated as one of the world's most popular and successful athletes. The cancer survivor's net worth, according to the New York Times, was estimated at $125 million in 2012. Damages in the case before Wilkins in Washington, DC, could top $100 million, court papers show. Robert Luskin and Elliot Peters, two of Armstrong's lawyers, did not immediately respond to requests for comment. Top seed Richard Gasquet confirmed his grasscourt pedigree, easing into the semi-finals of the Wimbledon warm-up tournament at Eastbourne with a 6-3, 6-4 victory over Slovak Martin Klizan on Thursday. The Frenchman, who has won the event twice before when it was held in Nottingham, will meet Denis Istomin of Uzbekistan in the last four. 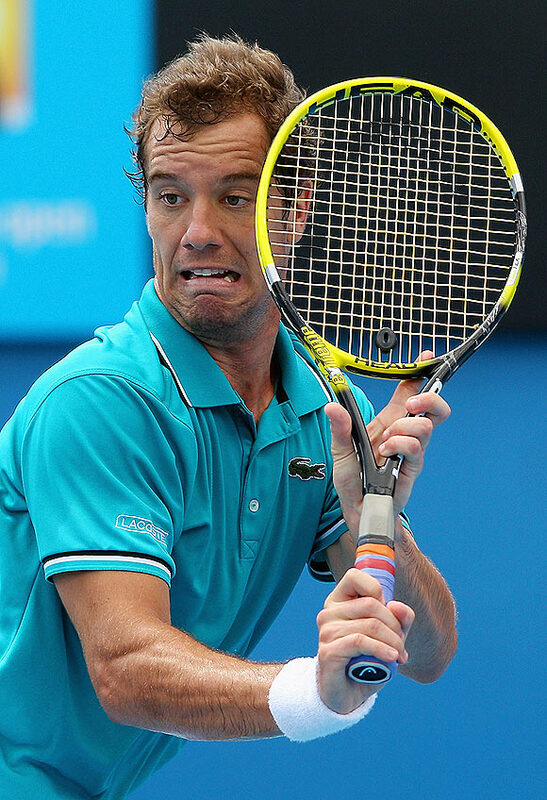 "I've won two good matches," said Gasquet who celebrated his 28th birthday on Wednesday. "I served well and could play with power." Istomin overcame Gasquet's experienced 30-year-old compatriot Edouard Roger-Vasselin 7-6, 6-2. 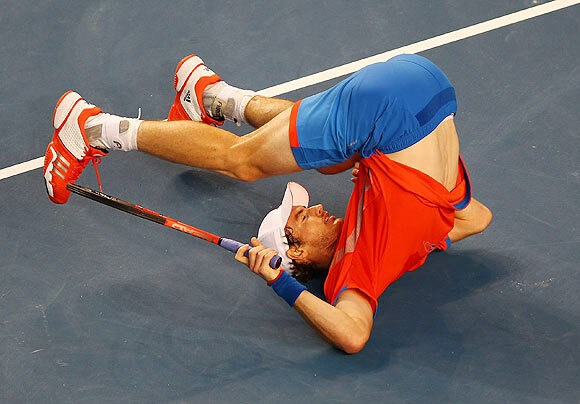 Big-hitting American Sam Querrey defeated a third Frenchman, Julien Benneteau, 7-6 (5), 6-4 and next meets the winner of the duel between defending champion and Queen's Club runner-up Feliciano Lopez and another Frenchman Jeremy Chardy. Their match was postponed when a fine drizzle started to fall on the English coastal resort. In the women's competition, fifth seed Angelique Kerber of Germany strode into the semi-finals with a 6-2, 6-1 win over Ekaterina Makarova. But former World No 1 Caroline Wozniacki struggled to overcome a determined Camila Giorgi of Italy 6-7, 6-4, 6-2 in two hours 35 minutes. Wimbledon champion Andy Murray is backing the new Premier League to take tennis to areas of the world that have little chance of seeing the leading players perform. Speaking at an event to promote this year's International Premier Tennis League (IPTL), the British number one was quoted by the organisers as saying: "Being able to grow the sport globally is important to me. "It's great to be able to play tennis in parts of the world that don't have a huge tennis heritage but have a big fan base." The IPTL, which will offer prize money of $29.7 million, will start in November in four cities - Manila, Dubai, Mumbai and Singapore - and the four franchises have attracted top players. Murray and Frenchman Jo-Wilfried Tsonga have joined the Manila group, Singapore have world number one Serena Williams and Czech Tomas Berdych, Dubai include Wimbledon top seed Novak Djokovic and Mumbai boast world number one Rafa Nadal. Former India cricket captain Sunil Gavaskar is part of the Singapore franchise and he said: "Tennis as a sport has always been instrumental in transcending borders and catering to multiple demographies. "Singapore rivals my home town Mumbai as one of the greatest cities of Asia and I'm confident the cosmopolitan nature of Singapore will ensure our franchise is a great success." Berdych, former world number one Ana Ivanovic of Serbia, Australian Lleyton Hewitt and Tsonga attended the IPTL event close to the All England Club where the Wimbledon championships start on Monday. World heavyweight champion Vladimir Klitschko will defend his WBA, WBO, IBF and IBO titles against undefeated Bulgarian Kubrat Pulev in Hamburg on September 6, his management company said on Thursday. 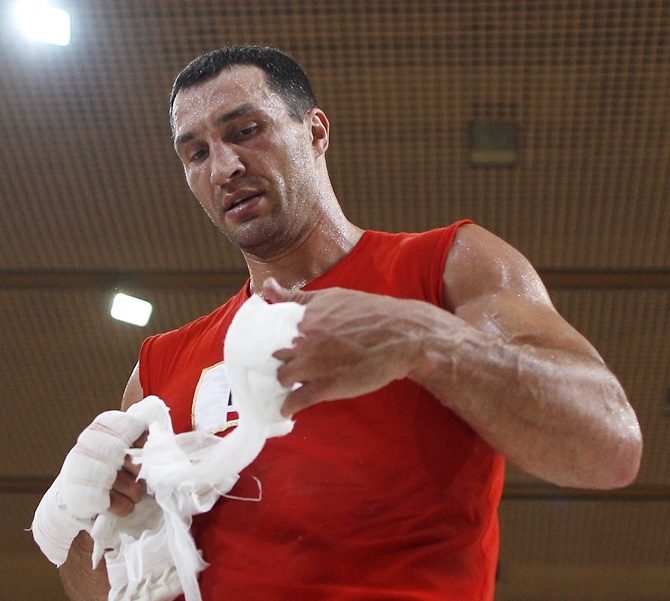 Ukrainian Klitschko, 38, has been a heavyweight champion since 2006. He was the 1996 Olympic champion and has an outstanding record as a professional of 52 knockouts in 62 wins. "He (Pulev) has an impressive record as both an amateur and a professional," Klitschko was quoted as saying in the statement. "Pulev has a sophisticated technique and I certainly won't underestimate him." The 33-year-old Pulev, who has 11 knockouts from 20 wins, became the IBF international champion in 2011 and European champion in 2012. "I'm ready to replace Vladimir Klitschko as champion," said Pulev.